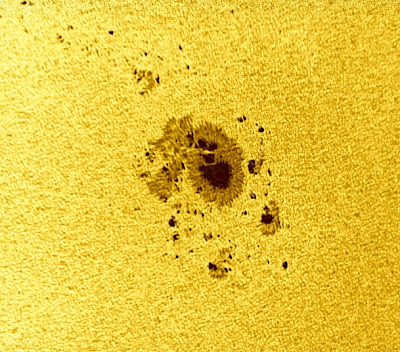 The continuum filter isolates a 40nm bandpass centred on 540nm in the green and effectively eliminates the effects of atmospheric dispersion. 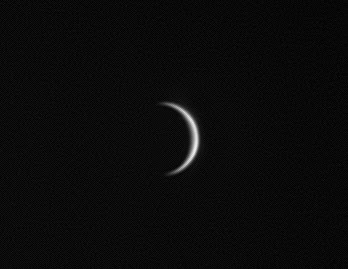 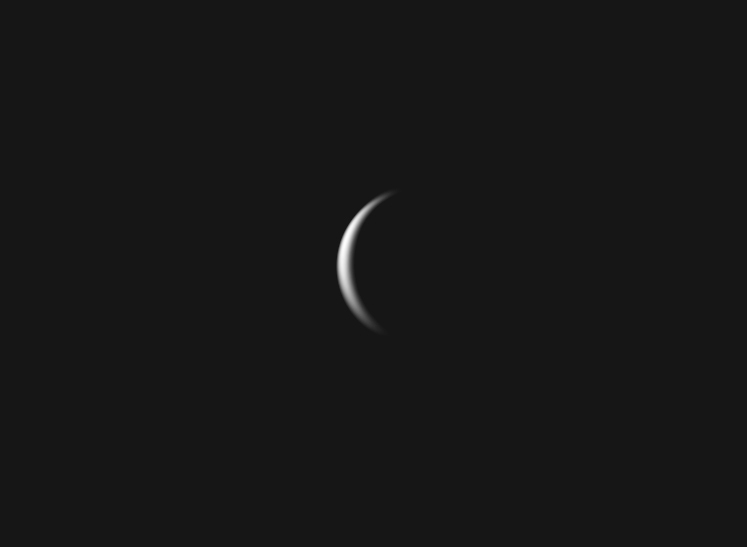 Venus and the Sun are getting closer together each day until Venus transits the Sun on June 6th. 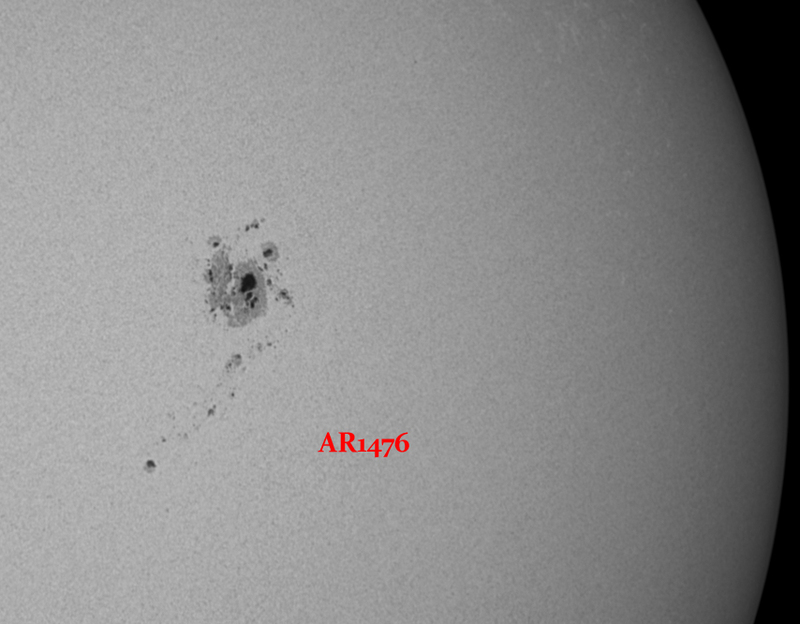 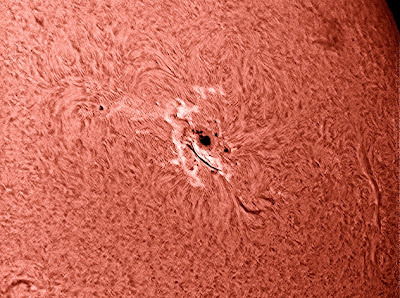 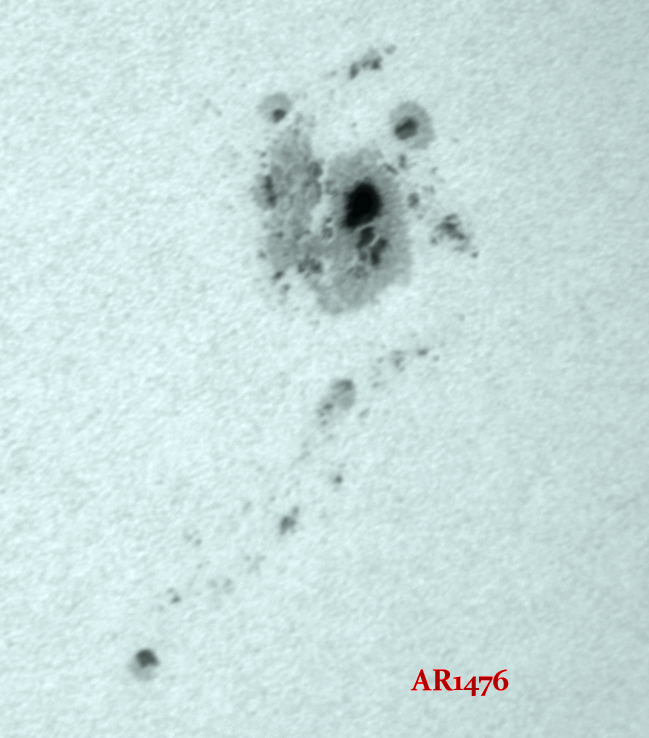 AR1476 was imaged in green continuum light with a 127mm Maksutov fitted with a photographic grade Baader solar filter. 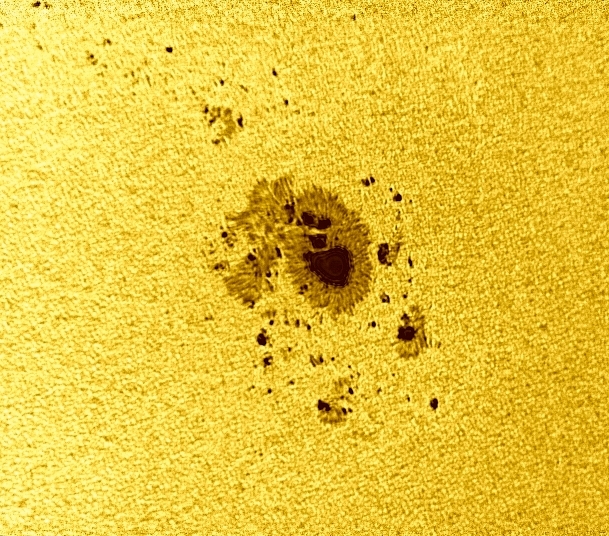 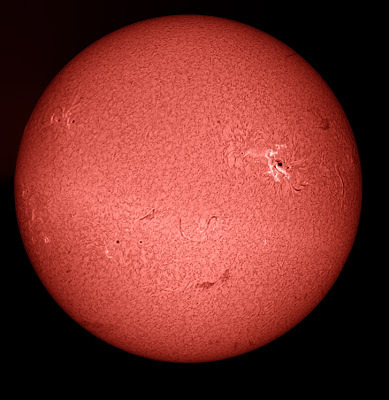 The same region was observed through an LX90SCT with an off axis Seymour solar filter and a 40mm eyepiece. 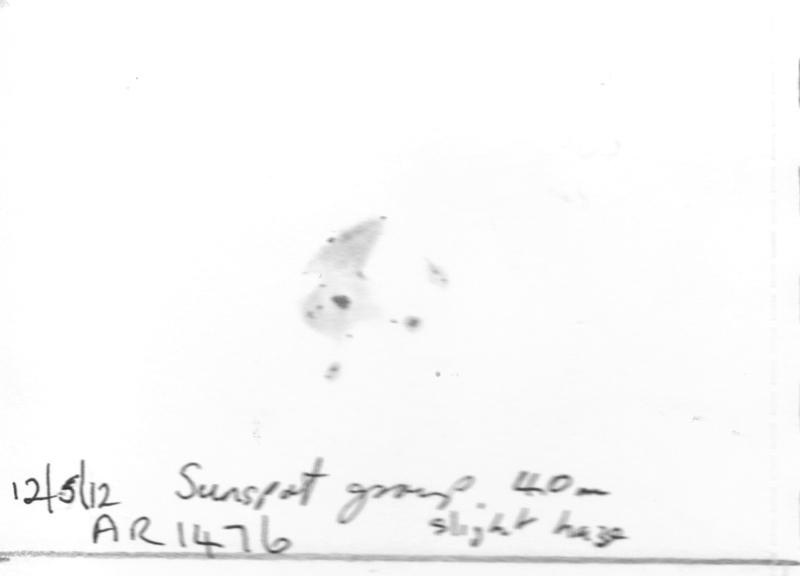 The Sunspot group was drawn. 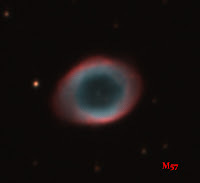 The planets were taken through an 11” Celestron and a DBK21 camera. 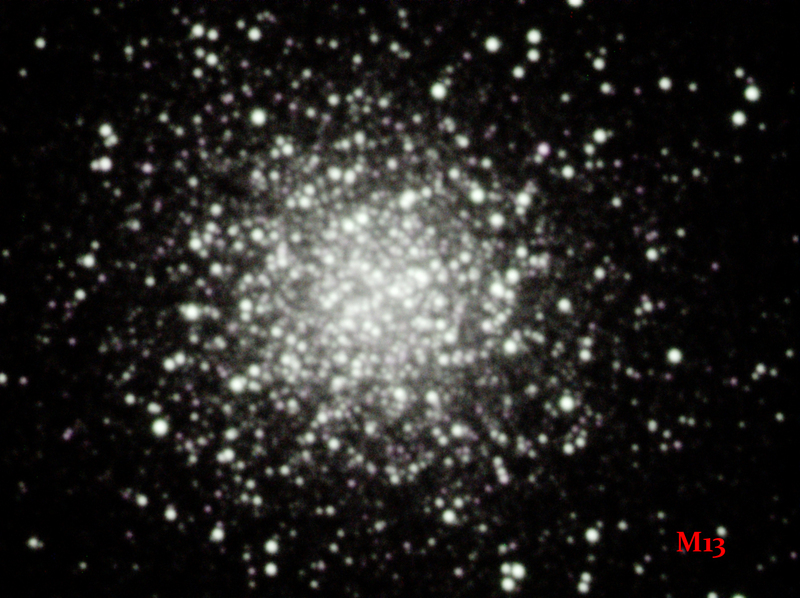 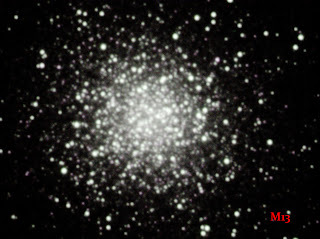 Deep Sky Stacker and M57 was just 2 x 10minute exposures.